Are you trying to improve your online presence? Do you want to have more visitors coming to your website? If you’re trying to reach a broader audience with your website and you want your business to succeed online, then you need to use search engine optimization (SEO) techniques. Creating a solid SEO strategy is essential for getting more online traffic and for reaching your ideal customers on the web. If you’re ready to start using SEO for your website, look no further. Below is our list of the 8 SEO techniques that you need to try immediately. One of the most important things that you can do to boost your web presence is to create a blog and start filling it with helpful, relevant, and valuable content that speaks to your readers. While many website owners have an active blog already what you may not know is that the length of your blog content matters a lot as well. Blog posts that are at least 1,000 words in length are more likely to rank in Google. However, even longer is better. Aim to start creating powerful in-depth articles for your blog that are at least 1,800 words. Longer blog posts that provide valuable information to your audience will be even more likely to rank and will improve the SEO of your site. It’s also important that you insert plenty of links into your blog posts and page content. Both external links and internal links should be used often, and doing so can help to boost your website in search engine results. External links are links that are directed at a website other than your own, while internal links are links that are pointed at a different page of your own website. Adding both of these types of links is essential and can serve as signals to Google, helping the search engine understand what your website is all about. Internal links help Google understand how the pages on your site fit together while external links help it to understand your website as part of the web as a whole. Make sure you’re adding a few of these different types of links into your blog content if you want to experience the benefits. When trying to optimize your website, you need to focus on more than just your site’s content. You need to optimize the technical side of your site as well. Using technical SEO techniques, you’ll improve the functionality of your site and will make it easier for search engine crawlers to understand what your website and its content are all about. Improving the speed of your site is one of the biggest things you can do to improve the technical side of your site. You should also optimize image alt tags, create an XML sitemap, fix crawl errors, and add an SSL certificate to your website as well. Another thing you need to do to improve your site’s SEO is to make sure that your website looks great on mobile devices such as tablets and smartphones. Creating a mobile-friendly website is essential and will ensure you’re not missing out on any traffic that you should be getting. These days, more customers and website visitors are using their mobile devices to search for goods and services than ever before. Because of this, it’s crucial that your site looks great on these devices as well and can easily be navigated on a small screen. Using responsive website designs that will change depending on the device a visitor is using can with this. To improve the SEO of your site, you’ll also want to make sure that you’re targeting the right keywords. Website content and blog posts should include keywords that your ideal customer will be searching for. However, remember that not every keyword is worth ranking for and will be worth your time and effort. It can take time to build content so you’ll want to choose your keywords wisely. Most of all, you should be using longtail keywords whenever possible. Longtail keywords are keywords that are not just one word but instead are phrases that feature several words. These keywords will be less competitive in search engines and are typically easier to rank for. The Google Keyword Planner is free to use can be a great help in the search for great keywords, but there are more advanced tools available as well. While working on your site itself is essential, it’s also important that you look beyond your website to other parts of the web. A big part of SEO is building backlinks, links that point to your site from another site on the internet. You’ll probably have to use some outreach techniques to get these backlinks. One of the best ways to go about this is guest posting, in which you’ll be writing blog posts articles for other sites in exchange getting a link back to your own. There are other ways to build backlinks as well, but however you do it, make sure that you’re focusing on quality rather than quantity. Ideally, try to get backlinks from authority sites that in the same niche or industry as you are. In addition to getting backlinks from high authority sites in your industry, it’s also a good idea to do a bit of spying on your competitors. Chances are that other businesses or websites in your industry have already established a strong online presence. Use this to your advantage and learn from them. Take a look at your competitor’s blog and website to get an idea of what they’re doing and if there is anything you can learn from them. You may also want to use some SEO tools to see where their backlinks are coming from as well. Competing sites are a great place to look for new keywords and to find new ideas for blog posts. If your business has a physical location, you’ll probably want to use local SEO techniques to get the most value out of your online presence. If your business operates in a specific location, then it’s important that you demonstrate that to Google and other search engines. When working on improving local SEO, the first thing you’ll want to do is to claim your Google my Business page. Doing this will allow you to edit your business profile on Google has and tweak it make sure it’s accurate. It will also make it more likely that your business will rank in search results. Additionally, you’ll also want to make sure that the city or that your business serves is very clear online. Your website and blog should use keywords that mention your location and you should have your address clearly listed on your website, on your social media pages, and in online directories such as Yelp and Foursquare. If you’re trying to establish your business online, it’s important that you use the SEO techniques listed above when optimizing your website. By using the above techniques you’ll start getting a leg up on competitors and your ideal customers will be more likely to find their way to your site. Looking for help with your SEO strategy? 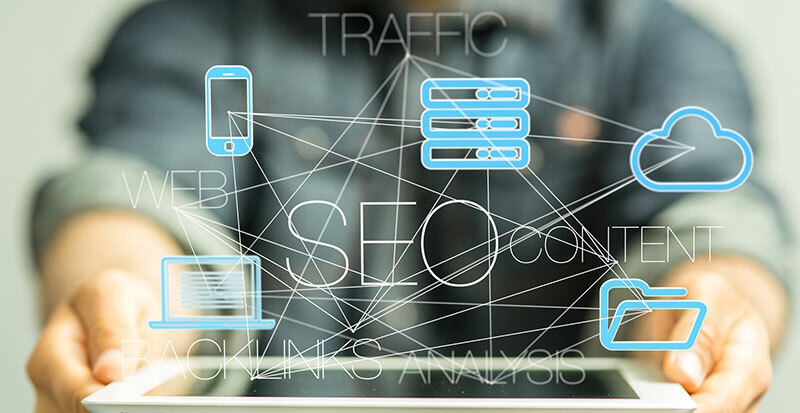 Click here to learn about our SEO services and to learn more about what we can do for you.